We have totally cut back on all of our mass produced plastic toys. 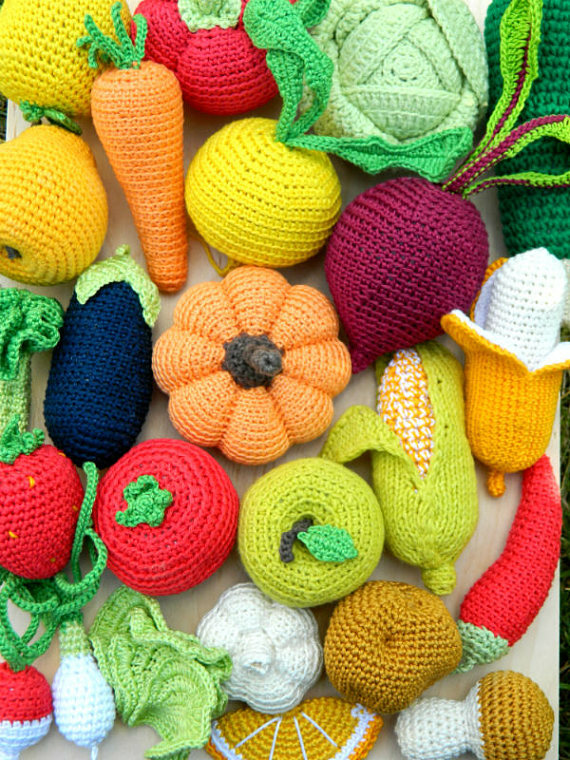 We are 100% focused on quality made and educational toys. If she doesn't learn something while playing with it than we have put it into a box to be donated. It was tough cleaning out her room and taking away toys, especially right after Christmas and her Birthday. But that's all for another post! This post is about beautiful handmade items that promote learning and fit into our modern simplistic and minimal lifestyle. First off I'd like to start with Mirus Toys. 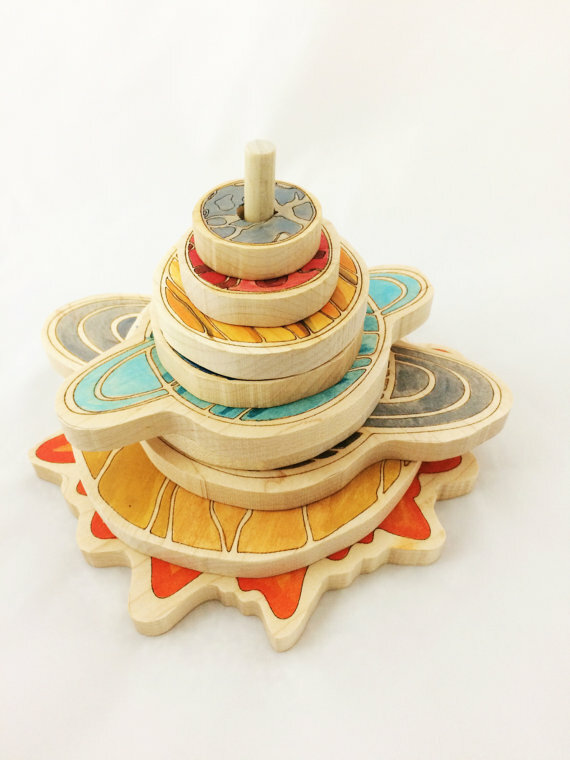 They are handmade wooden toys that help with math and science. 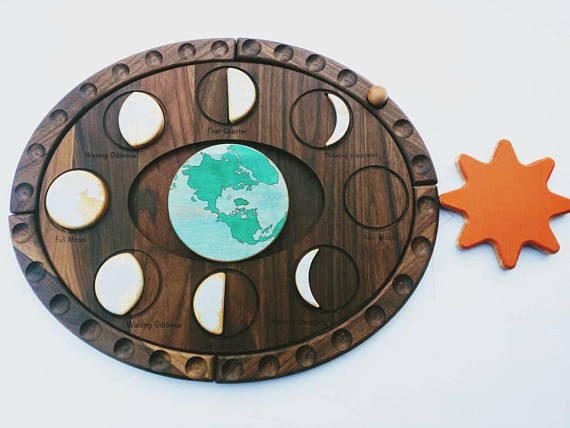 Below is a wooden stacking solar system, the lunar phases and finally numbers 1 through 100 grid. 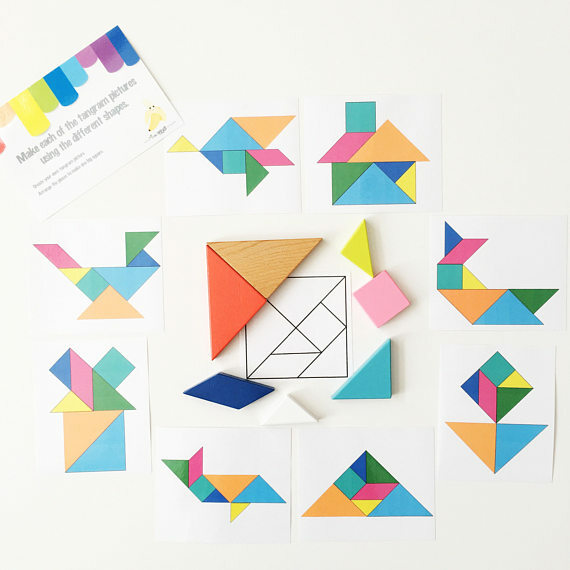 A beautiful Tangram & a dinosaur activity kit from Flying Sprout as well as every fruit or vegitable you could imagine by Toys by Galatova. 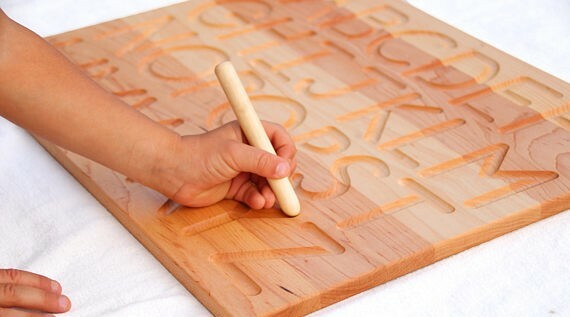 Here's one of our favourites by From Jennifer , a wooden letter board designed for the child to be able to trace the letter. 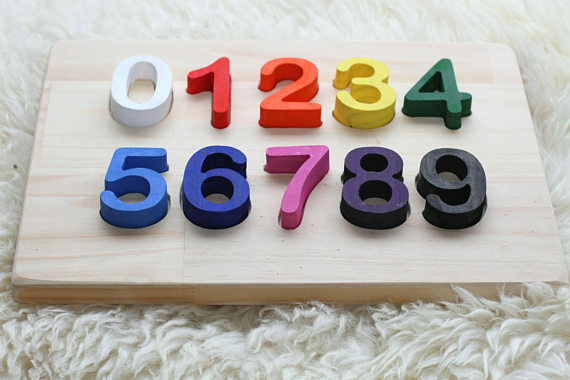 This will be available as an add on alongside our full home school curriculum in the summer along with these fantastic wooden numbers from Mish and Mash Creations. That's all for today. Many of you have been asking about how we downsized our toy collection so I will post on that later in the week. I'm off to start dinner early because Monday night is family night and Jane requested "snimming at pool", yes 'snimming' is how she says it haha. So we need to eat well before we head to the pool. These posts are to encourage you along your homeschooling journey, share experiences and connect with other homeschooling moms all over the world. 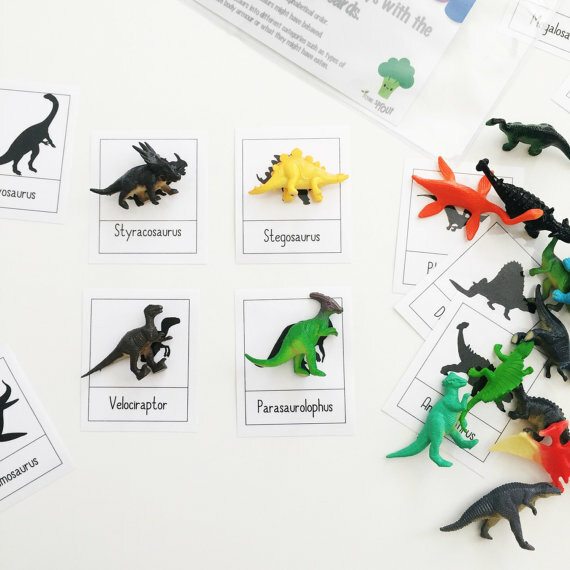 This week's homeschooling story is from Sarah Pellegrini. Read below to hear her story about how homeschooling was suggested as an alternative to public for her son who was diagnosed with Dyslexia, ADHD, Sensory Processing Disorder, Anxiety and OCD and how it became the best option for their family. These posts are to encourage you along your homeschooling journey, share experiences and connect with other homeschooling moms all over the world. This week's homeschooling story is from Stephanie Cass. Read below to hear her story about how she never intended on homeschooling her three boys but she felt her heart pulling her to do so.